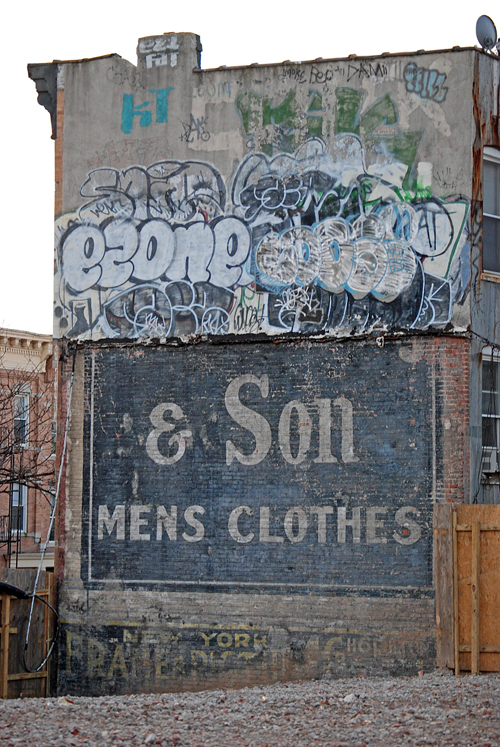 NY Frame & Picture Co – … & Son Mens Clothes – Sunset Park, Brooklyn | Fading Ad Blog HAS MOVED! Another one of Vincenzo’s finds! 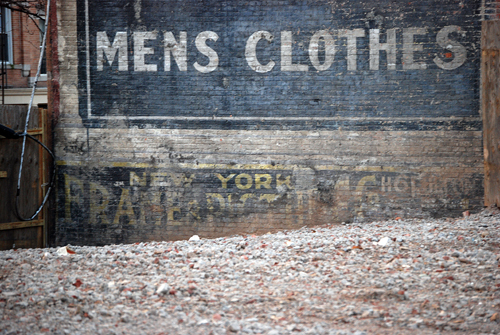 This entry was posted in Brooklyn, Men's Apparel, NY Frame & Picture Co, Sunset Park. Bookmark the permalink. In San Francisco every now and then there’s a good old fader. But time ticks and paint peels. There’s always less than there was. davidwills: send me what you find. I have an Ektachrome archive of my visit in 2002. Just got to get up the nerve to dust em off and scan. Shoot what you can! Thanks for the photos; they’re fantastic! I’ve linked to them on my page.